Bustleton Gastroenterology Associates (Philadelphia) - Book Appointment Online! 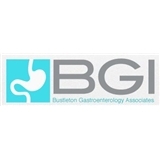 Bustleton Gastroenterology Associates is a team of board certified physicians highly trained to diagnose and treat various digestive diseases and disorders including peptic ulcer disease, gastroesophageal reflux disease, swallowing disorders, Barrett's Esophagus, gastrointestinal bleeding, colorectal cancer, colitis, diseases of pancreas, biliary system and various kinds of liver conditions. We are committed to the well being of all of our patients and strive to provide the highest quality of care available. We believe in personalized care tailored to the needs and wants of each patient. Equipped with cutting edge technology, our state-of-the-art office and surgi-center are designed to allow us to provide the best care available with the highest level of comfort. We strive to exceed your expectations of medical expertise, care, attention, kindness and privacy. After four years and five different doctors, Dr. Spodik finally helped me!